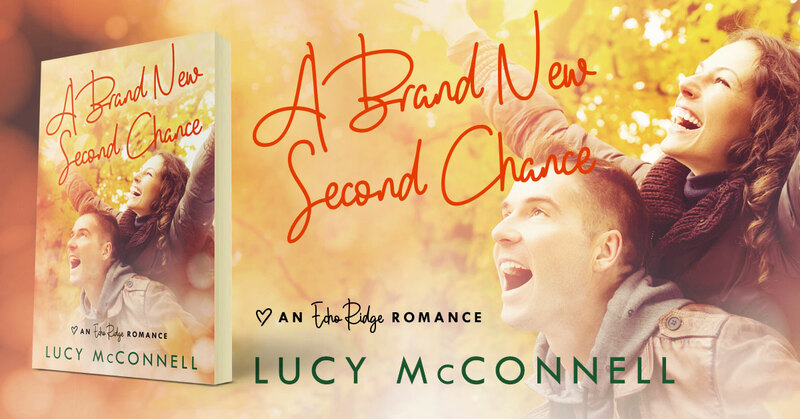 A Brand New Second Chance is a contemporary romance novel by Lucy McConnell. It’s the 2nd book in the Echo Ridge Romance series. With a broken heart and an unsure future, Abigail Martin moves home to Echo Ridge to capture the parts of her teenage years she missed out on because she’d had a steady boyfriend. Kissing a random guy, flirting with strangers, hanging out at Fay’s after a football game – all of it. Carter Montgomery offers his help, because he’s a helpful kind of guy, and she quickly falls for his quiet humor, kindness, and heated kisses. Fearing that she hasn’t lived enough of life to settle down, Abigail must decide if she’s going to break Carter’s heart or give love a brand new second chance.